When your child has reached (or long since passed) the point of independence, it's difficult to know what your "help" as a parent should look like. 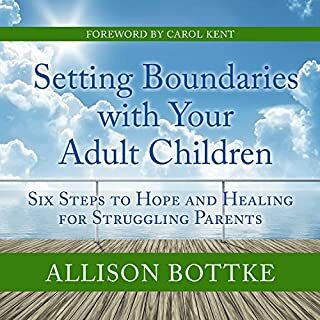 Following her best-selling book Setting Boundaries®with Your Adult Children, Allison Bottke offers an in-depth guide to help you connect with your adult child and to build your confidence, knowledge, and hope, as your child walks through challenging situations. Learn how to develop effective strategies to truly help your adult child - without sacrificing your sanity. Shadow Daughter tackles a subject we rarely discuss as a culture: family estrangements, especially those between parents and adult children. Estrangements - between parents and children, siblings, multiple generations - are surprisingly common, and even families that aren't officially estranged often have some experience of deep conflicts. Estrangement is an issue that touches most people, one way or another, one that's still shrouded in secrecy, stigma, and shame. Very Powerful. Deserves 6 stars! In Done with the Crying: Help and Healing for Mothers of Estranged Adult Children, Sheri McGregor, MA, helps parents break free from emotional pain - and move forward in their own lives. As a loving mother to whom the unthinkable happened, McGregor knows the horrible shock that wrings a parent dry, triggers denial, blame, anger, and shame. With empathy and understanding, as well as tools, the latest research, and insight from more than 9,000 parents of estranged adult children, McGregor helps parents of estranged adults plan ahead, prepare for emotional triggers, and prevail over setbacks and pain. You can be happy again. 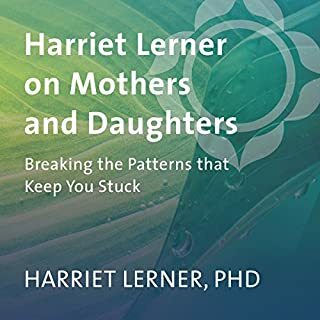 In a calm yet authoritative voice, and with exercises derived from her work as a life coach and her own recovery, McGregor helps mothers come to terms with their estranged adult child's choices and regain their health and happiness. To fathers of estranged adult children - this book can help you, too. "Ninety-three percent of the parents who answer my survey at rejectedparents.net are mothers," says Sheri McGregor. "That's why the title is directed at them. But many of the book's examples are from couples, and include the experiences of fathers. Some passages directly highlight men's reactions, including my husband's. The principles presented are relevant to fathers, and the strategies for coping can be used by anyone." In this encouraging and comprehensive book, McGregor fully covers the phenomenon of estranged adult children from families who never expected a son or daughter to cut ties and walk away. Nine in-depth chapters provide dozens of inspiring examples from among the thousands of parents of estranged adult children. Gain understanding and practical help from a mother who knows the pain of this devastating loss with all its uncertainty and heartache. Hope can remain, but you don't have to stay stalled, forever waiting. You can move past the disbelief and distress. Take charge. Reclaim yourself and your life - only maybe even better. I found myself suddenly inducted into a club that none of us would want to join as parents. But what to do about it? The feeling that we are alone and unable to speak out or reach out for support is all-too-common. We didn't want to push our daughter further into Rebellion by speaking out publicly. Al-Anon was one option but this does not fill the void of resources for parents who are abandoned after raising their child lovingly and with and for excellence. 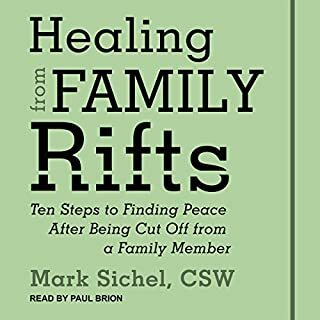 This book takes an honest look at what the parents of estranged children are going through and have gone through leading up to the estrangement. 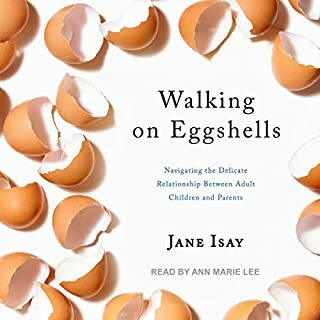 While others are quick to judge unless they have walked a mile in another's shoes, this resource is compassionate and respectful and restores both common sense and dignity to suffering parents. often we do not even know we have been stripped of Common Sense until it is too late and we begin to question everything around us in light of the loss and betrayals we have sustained. Those of us who invested everything we had and everything we are find ourselves completely unprepared for such a twist in life. The author comes along side the parents as one who understands the grief and bewilderment first-hand but does not leave us stuck there by any means. I was able to take the author's hand and walk from the dark night of pain and grief and into the light knowing that brighter and brighter days are ahead. the exercise in the book are important for healing and considering the cost of counseling, it is a phenomenally priced resource. Just being able to read through and respond carefully and mindfully to the authors questions brought a new perspective so useful for healing and to allow me to begin to let go of what I cannot change or fix and focus on all of the love around me and be a blessing in the circumstances I can change. whether this is Week 1 and you are reeling from the shock, or this has been your road.to walk for some time, there are suggestions that will help you become the very strongest you can be while you pray and trust God to bring healing and restoration in His time. If only I could’ve found this book sooner. I thank you from the bottom of my heart. I could not believe the amount of parents that go through the same thing my husband and I have been going through. The information that is given in this book is so helpful and the way that it is presented iis so absolutely amazing. 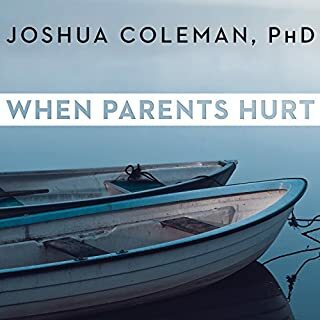 I think more counselor and therapist should recommend this book to parents That are struggling. This book has helped me more than any counselor or therapist has in the past year. This book by the kind, warm-spirited author was balm to my soul. It not only gave examples and information which provided commiseration, but, more importantly, much of the book is dedicated to moving on. 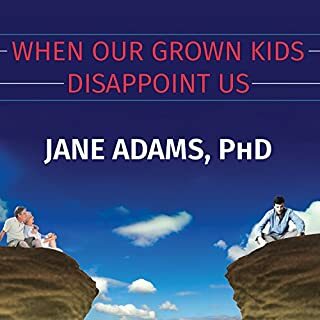 Although I didn't have the extreme mistreatment that the author and others in her book experienced, my own children have done what I call "virtual estrangement," not contacting me but a few times a year and oftentimes only when they need something, this after being the best mom I possibly knew how to be and being in their corner in every way I could. There is something in society that is contributing to this maltreatment of our fellow humans generally, and I feel it has not yet been corralled with understanding. This quote I lifted from a website about parental estrangement that sums it up: "It is of no solace to good parents, but I have observed through friends and family that the awful, emotionally neglectful parents are the ones who ironically get most attention from their kids well through adulthood, because these kids are constantly craving affection, attention, and approval they never had. And yet it is the great parents who give their kids the gift to grow wings and fly the nest, and be totally and utterly self-sufficient who are mistreated with estrangement. It is a strange and uncomfortable truth." I related very much to many of the stories in this book. Thank you Sherri for bringing light and compassion to a very difficult and gut wrenching topic. You helped me accept reality and gather my wits so I can now move forward. Like some, never seemed to be a conclusion. or an answer to stop the crying. Stopped hating and /or waiting for my child to love me . This book is like having your personal therapist whom you can rely on 24 hours of the day and seven days of the week . From chapter 1, the onset of your offspring pushing you out of their life , and the many stages in between to the final chapter , Sheri helps you to evaluate yourself and your offspring in a way that removes all of the negative feelings from one of the most painful events that you could ever experience in life . very helpful, in a numb time! I love this book! i have have found it very helpful and will be applying what I learned. Healing words of wisdom. I recommend book. It has helped me a lot. It doesn't take the pain away but it gives you tools to cope with it.